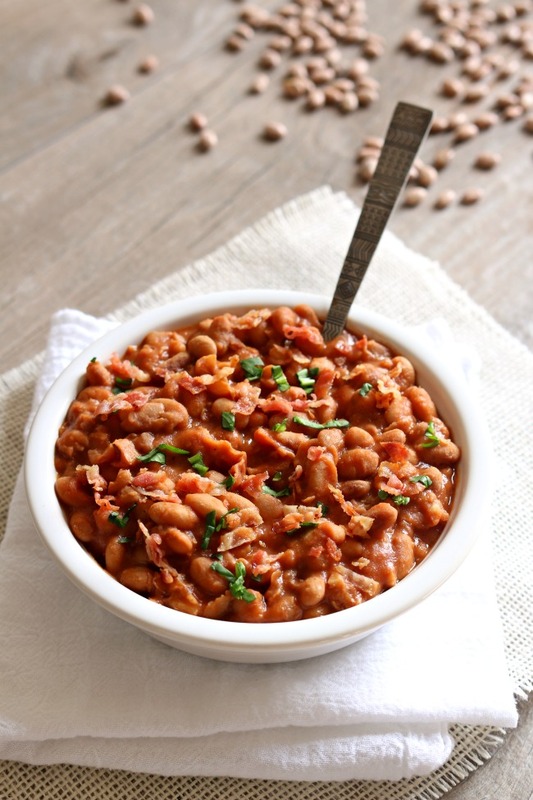 This homemade slow cooker pork and beans recipe is made possible by North American Pulses. Thanks so much for supporting my blog and its sponsors. 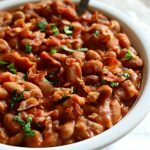 Homemade Slow Cooker Pork and Beans: your childhood favorite pork n’ beans made at home in your slow cooker with dried beans and lots of crispy bacon and just a couple other pantry staples. I must admit that as a child I really loved pork and beans. Loved them. Even now I still do. You know the kind that comes in a can? I love the tomato based sauce and the not too sweet flavor. I’m not a huge fan of my baked beans being super sweet. So I decided to create my own version at home. I wanted to make everything from scratch so I decided to use dried beans. The slow cooker is the perfect tool to cook dried beans. It’s soooo easy and they turn out well if you use a couple of suggestions. Soak the beans overnight. I know there are recipes that say you don’t need to but I find that the beans turn out much better if they are soaked overnight. I also suggest adding a tablespoon of salt to the beans and the water. This salty brine that the beans soak in will enable the tough skins to become tender the next day when you cook them in the slow cooker. Don’t worry about sodium content. You’ll rinse off the beans before you cook them. Don’t add any acidic ingredients until the beans are tender. The minute you add anything tomato- based those beans are going to firm up immediately. So if you’re making chili or soup with diced tomatoes wait until the beans are tender before you add them into the slow cooker. 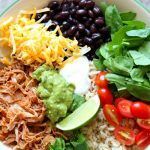 For this homemade slow cooker pork and beans I ended up using dried pinto beans because that’s what I had on hand but you could easily use dried navy beans instead. I ended up using bacon as the pork instead of the traditional salt pork. I just prefer a crispy bacon over a limp piece of fatty pork. I also made a semi-small batch (it made 6 servings). If you’re bringing this to a potluck I recommend doubling the recipe. It should work perfectly in a 6 quart slow cooker. 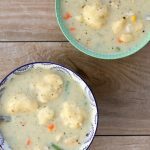 If you saw my recipe for chicken lemon lentil soup last week you found out that pulses are dry peas, chickpeas, lentils and beans. Pulses are one of the most versatile, lean, vegan and gluten-free superfoods on the planet. That are chock full of nutrients–containing twice the amount of protein as quinoa and twice the iron that’s in a serving of chicken. Plus they are really affordable! For these reasons and more, the UN declared 2016 to be the International Year of Pulses – just like they did for quinoa in 2013. So how do you incorporate these superfoods into your diet more often? Well I would suggest by taking the Pulse Pledge. What is the Pulse Pledge? You will commit to eating pulses once a week for 10 weeks and join a global food movement! Eating dry peas, lentils, beans and chickpeas helps reduce your carbon footprint – and it’s great for your health. Every 1/2 cup of cooked pulses delivers 9 grams of protein. Get rewarded for eating these miraculous superfoods. Sign up for recipes, inspiration and the chance to win great prizes along the way. It’s FREE! Take the Pulse Pledge by clicking here! 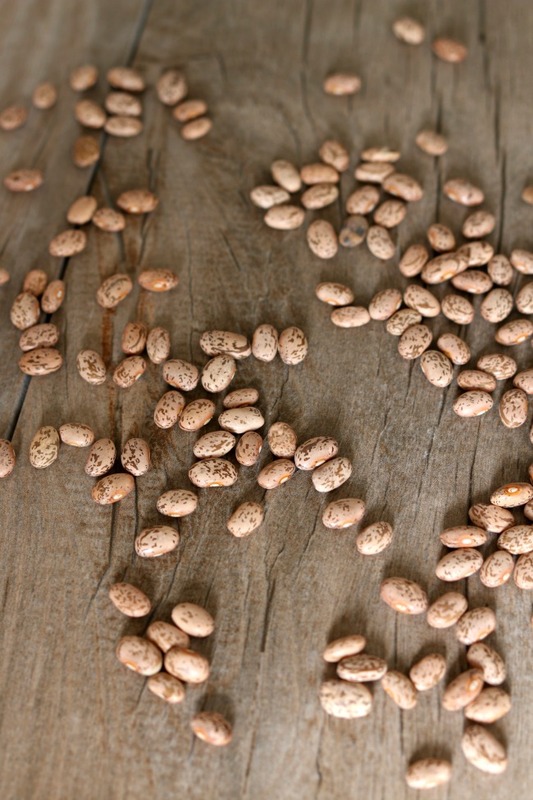 And make sure to check out the Pulse Pledge website for more bean recipes! 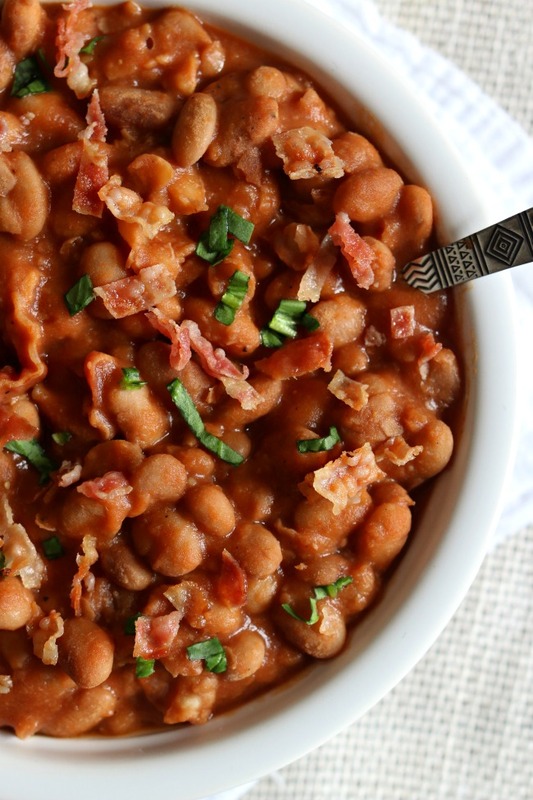 Your childhood favorite pork n’ beans made at home in your slow cooker with dried beans and lots of crispy bacon and just a couple other pantry staples. In a large bowl place the dried beans (sort out any dirt or rocks). Add enough water to cover the beans by 2 inches. Add in 1 Tbsp of salt. Let the beans soak overnight for at least 8 hours. The beans will expand so make sure you have enough water and a big enough bowl. After the beans have soaked, pour the beans into a colander and rinse off the beans. 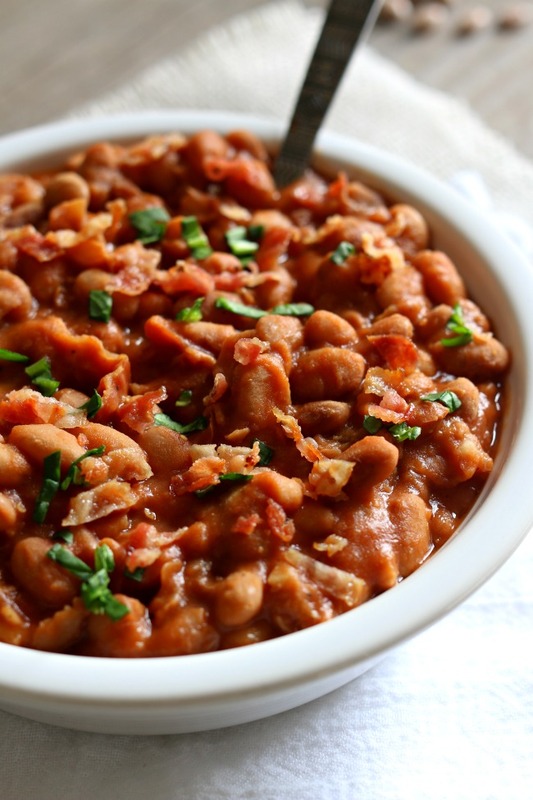 Place the rinsed beans into the slow cooker. Add in 4 cups of water. Cover the slow cooker and cook on LOW for 6-8 hours, or until beans are to the desired tenderness. Drain off any extra water. Add in 2 cans of tomato sauce, Dijon mustard, molasses, 1/2 tsp salt and pepper to taste. Gently stir. Add in the bacon and gently stir. 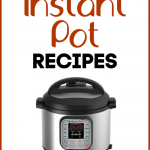 Serve immediately or turn the slow cooker to warm and serve at your leisure. The beans will stay good on warm for up to 3 hours. 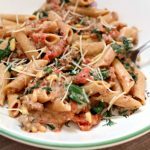 This recipe could easily be doubled for a potluck! 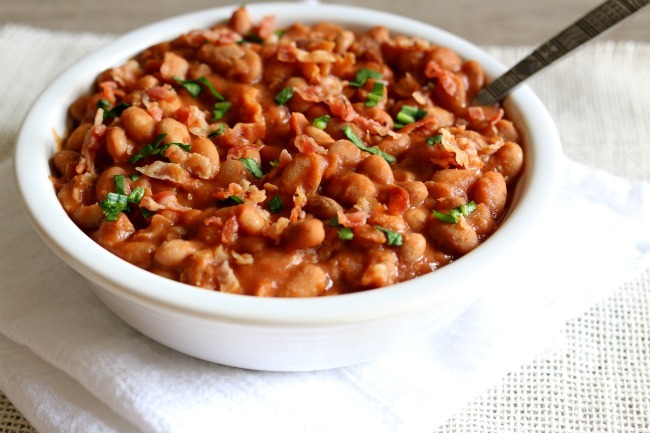 Does the pork and beans freeze well? I bet it would. Personally I haven’t tried freezing it. 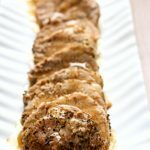 Can this recipe be made in the Insta Pot? 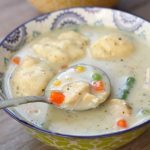 I haven’t made it yet but I know that it would be a perfect Instant pot recipe! You would just soak the beans overnight (or do a quick soak method) and then pressure cook the beans with water for 20 minutes. Drain off excess water and then follow the rest of the instructions as listed. Hope you like it! It won’t affect anything besides the taste. Maybe serve some bacon on the side with it?? I love pork & beans! This recipe sounds like a hit. Thank you so much for sharing. I know I love them too! You’re welcome.